Enhance your linemarking with customised safety products Linemarking and line painting can be enhanced with a range of different safety products, specifically designed for roads and car parks. Linemarking can only go so far to increase the safety of traffic, employees and pedestrains on your property. As we all can appreciate, there are times when additional safety features are required to take your linemarking to the next level. This is where our range of safety features comes into play, because they can make all the difference between a safe and an unsafe environment. Call us on 0423 832 531 to discuss how our range of professional safety products can enhance your road line marking or car park linemarking projects and increase everyone's safety. G & T Linemarking supply and install all forms of signage for commercial and industrial linemarking applications. 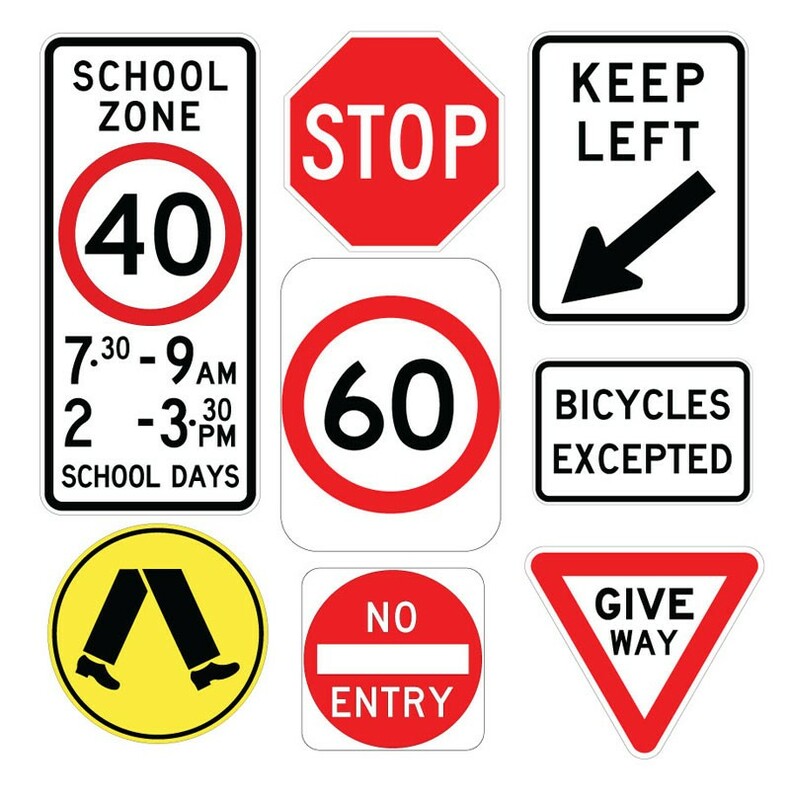 This type of safety signage enhances road line marking and car park line marking and increases the safety of traffic and pedestrians. As part of our customised linemarking packages, we are able to supply and install reveal and face mount height clearance bars. All height bars are supplied in a powder coat finish for high visibility displaying ‘low clearance’ at a specific customer requested height to suit the structure of the building and the nature of the line marking services you require. G & T Linemarking supply a diverse range of metal bollards to suit your project needs. Whether it's to enhance the safety of your warehouse line marking or your car park line marking, our bollards are the ideal additional safety feature your business requires. Here at G & T Linemarking, we supply and install a range of RPM’s including uni and bi-directional reflectors in an array of colors to increase driver visibility at night and enhance your linemarking. We can also install temporary pavement markers where road works are incomplete, as well as specialty fire hydrant markers. 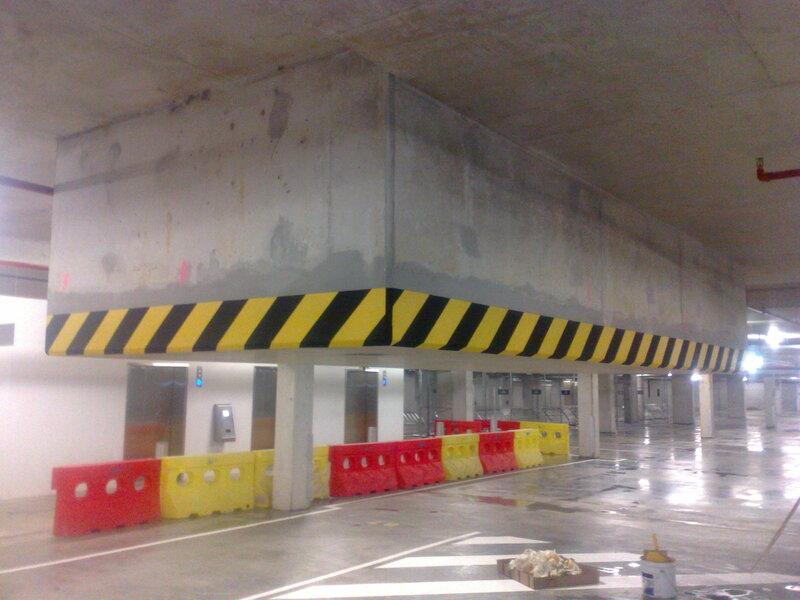 Here at G & T Linemarking, we supply and install rubber and galvanized corner guards for the protection of buildings and vehicles. Linemarking can only do so much to protect the structure of your building - corner guards add that little extra that is needed. Our eco friendly recycled rubber wheel stops are suitable for all car parks in all types of environments, both outdoor and indoor. They are the new innovation in parking safety and add the extra feature you need to take your linemarking to the next level. We offer a vast array of Speed Humps to suit all our client’s needs. Our recycled rubber speed humps are made up of independent modules finished with end caps. These are essential to reduce the speed of traffic in car parks and along minor roads, adding a professional safety feature to your existing linemarking. Our high visibility convex mirrors are designed for increased safety in high-risk areas. Whether it be industrial, commercial or private, visibility is the key to safety awareness. Whilst linemarking increases the safety of traffic and pedestrains, sometimes you need an extra feature in areas that are prone to accidents. Convex mirrors give you an additional safety feature that everyone appreciates.